Ted is in a football Jersey! 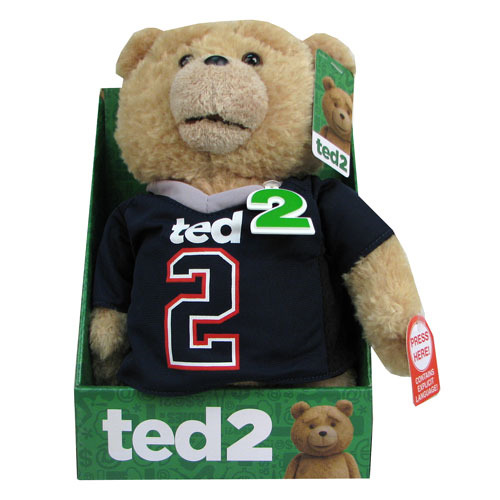 This Ted 2 Ted Jersey 11-Inch R-Rated Talking Plush features the foul-mouthed Teddy Bear that you know and love from Seth McFarlane's Ted 2 film. Measuring 11-inches tall, Ted speaks some of the most iconic explitive lines from the movie!